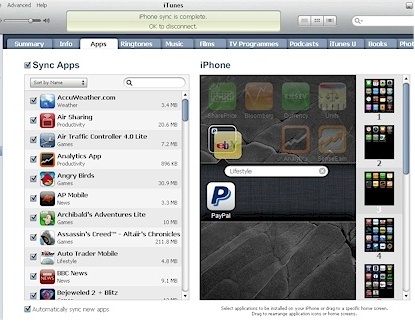 With the iOS 4 rolling out new features, Apple iPhone users have been given many new features and many things to play around with. One such thing being ‘Folders’ for apps to be arranged properly in one place, and sorting out the ‘n’ number of apps present which will be difficult to find. By arranging the apps in folders we can find apps of similar niche in one place for example New folder can have all the news Apps, Games can be divided into Action games, arcade games etc. Each folder can accommodate 12 Apps at a time. You can have up to 180 folders at a time. Since each folder can hold 12 apps, that means you can keep up to 2160 apps at a time. 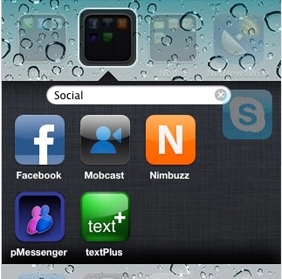 Choose two similar apps which belong to the same category and you wish to place them int he same folder under a single name. Then all you have to do is Touch and hold the app which you have selected to categorize until it starts to wiggle. Like this you can easily create 180 folders which is the limit put by Apple this allows 2160 apps to be stored in folders in an organized manner and to use up all that memory in your iPhone. Tap on the folder open it, then touch on the name at the top and enter a new name of your choice. Touch and hold an icon until the Home screen icons begin to wiggle. Tap on the folder where you can see a cross at the right top of the folder to delete and move all the apps out of the folder and onto the Home screen. The folder is deleted automatically when empty. To add more apps to a folder just keep dragging apps onto the folder. Then Click the Apply button to save your changes to the App folders and iTunes will automatically transfer the folders into your iPhone.